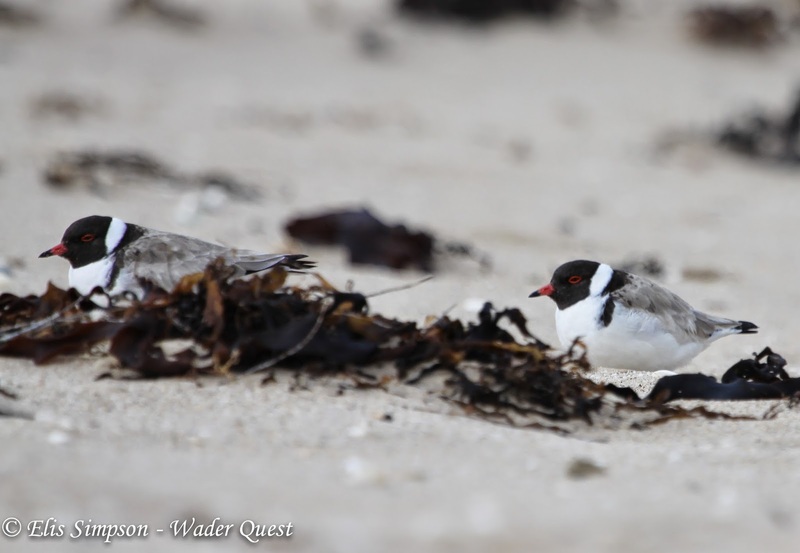 Wader Quest: Visit by Australian friends. Over the last couple of days we have had the pleasure of welcoming Paul Dodd and Ruth Woodrow to Newport Pagnell. Paul and Ruth helped us immensely when we were in Victoria, Australia, during the travelling days of our quest for wader conservation. Paul and Ruth plus Red-necked Avocet Recurvirostra novaehollandiae , another species that we saw thanks to them. 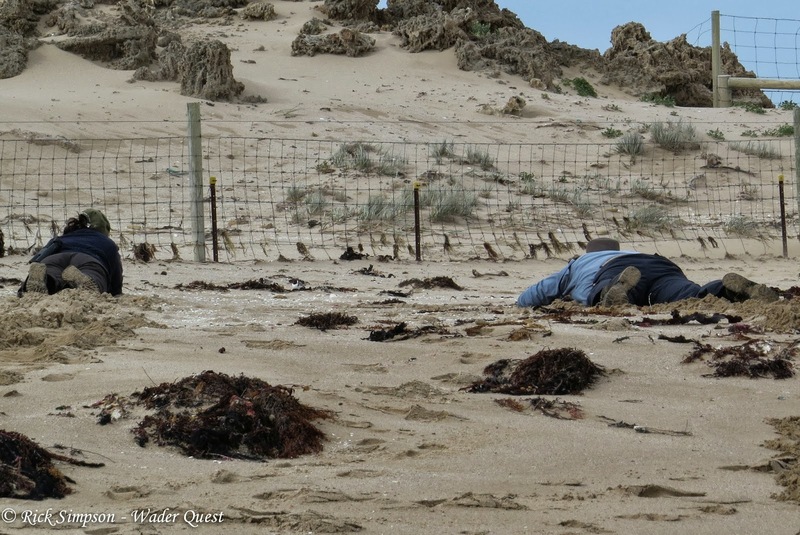 Indeed it was Paul who showed us our first Hooded Plover among other delights. The result of the turtle imitation above. This absolutely charming couple have been doing a tour of the UK starting in Wales where they quickly got their main target species, Atlantic Puffin on Skomer Island. They then visited our friends Alan Davies and Ruth Miller, of The Biggest Twitch fame, for a couple of days which they enjoyed very much, as you would expect, getting another target species, White-throated Dipper thanks to them. They also visited another friend of ours Alan McBride who has been a constant social media supporter of Wader Quest who helped us with the logistics of our Australian trip by introducing us to Paul and others even though he is now back in the UK. They came to us via Scotland an the Farne Islands and this morning we had the chance to visit two local birding sites with them. The first was the Hanson Environmental Studies Centre where they saw their first Common Kingfisher, a pair, and Manor Farm the local wader hotspot. Manor Farm, Buckinghamshire, England. July 2014. At Manor Farm the best bird was a Ruff but there were plenty of Northern Lapwings and ringed plovers, both Little and Common. Sandpipers came in the form of a Common and Green plus a single Dunlin. Ruff Philomachus pugnax; Norfolk, England. September 2012. Paul and Ruth have now moved on to London and thence on to Norfolk where we hope they'll have a splendid time and we wish them a safe return journey to Australia. We look forward to our next meeting whenever or wherever it may be.